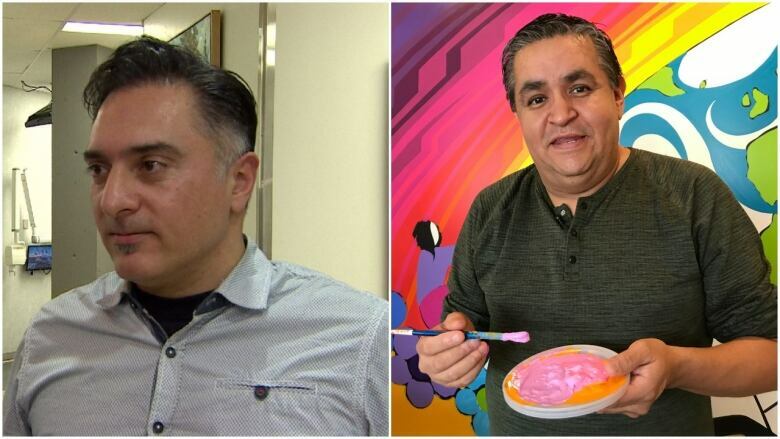 A Saskatoon dentist has comissioned a First Nations artist to paint a mural in his new dental studio in the Riversdale neighbourhood. Dentist Parviz Yazdani says he has felt a strong connection with the Indigenous community for years. Yazdani, who was born in Iran, said many of his friends were Indigenous when he was getting his start in North Battleford. When he moved to Saskatoon, many of those friendships remained. As Yazdani was preparing to open a new clinic in Riversdale neighbourhood, he wanted to make sure Indigenous people felt comfortable. 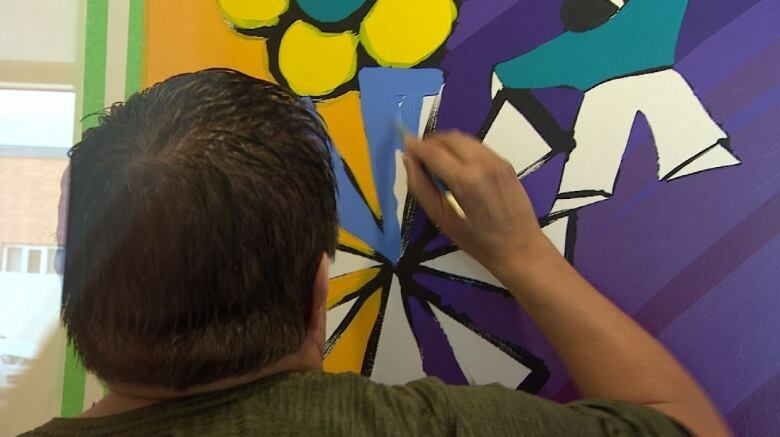 So he asked well-known artist Kevin Pee-ace, a member of the Yellowquill First Nation, to paint a mural in the office. So far, Yazdani has been impressed with what he's seen. "There's something very enlightening and spiritual about it," he said. "I think it's representative of the best of First Nations culture and spirituality." 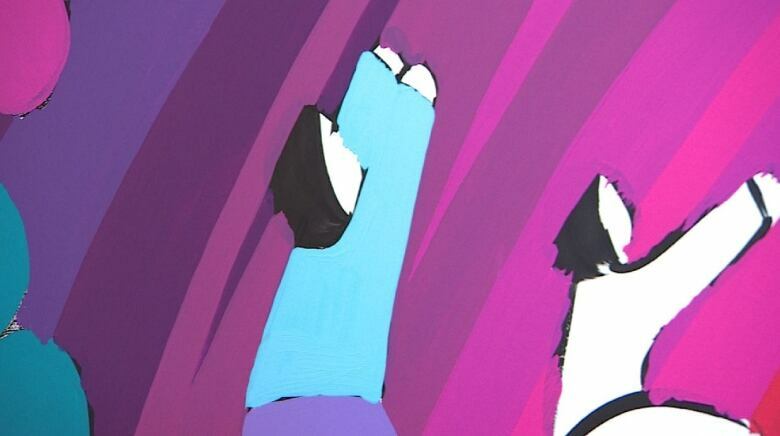 Pee-ace's colourful artwork hangs across the province. Pee-ace jumped at the chance when approached by Yazdani. Still at work on the mural, Pee-ace was busy mixing paint and filling in sketches of brightly coloured images of children reaching for the stars. "In the wider context of things, we are all children of the Earth, and that's what this painting represents," said Pee-ace. "We're all children of the earth, we're all related, we all breathe the same air." 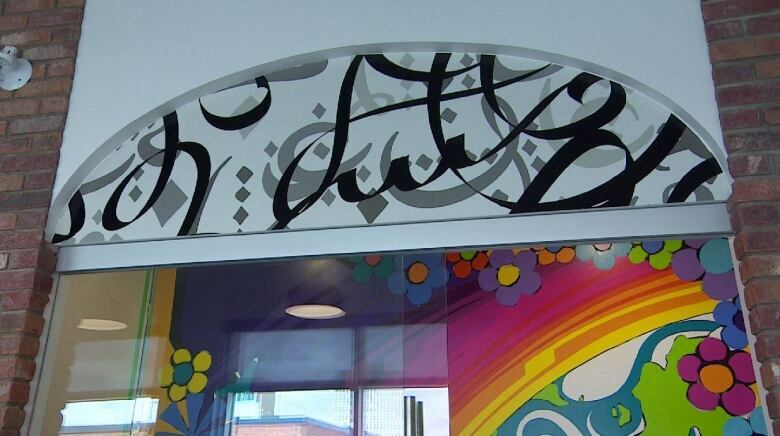 Yazdani asked Pee-ace to paint the mural around the theme 'East Meets West' and incorporate the tulip, the national flower of Iran, into the mural. The mural, located in the Blok Dental Studio, is expected to be finished this week.